Sid looks as if butter wouldn’t melt in his mouth. Don’t be fooled! This sneaky cat has six owners, six homes – and six dinners a day! Life’s just about purrrfect, until he’s caught with his whiskers in the cream. What will Sid’s six owners say when they find out what he’s been up to? 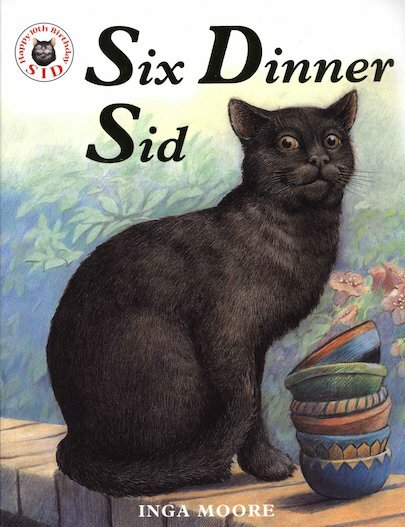 The witty classic tale of a cunning but loveable moggy: original, surprising and full of sly humour. Sid’s been entertaining kids for over 30 years, and he’s got all of us wrapped around his little paw! My eight year old and I loved this book. It has rich illustrations and a cute story line. If you have a cat or have a cat friend in the neighborhood who loves to visit your home, you might get a kick out of this story. I did feel conflicted at the end, but that is just me. It makes you think about how a kitty might see things, which is not the same as how me we might. Move over Morris! I like Sid he is funny.